Around this time every year, companies are in the throes of meticulously defining and adjusting their strategic plans and Annual Operating budgets for the coming year. Chances are, it will consume days or even weeks of dedicated executive involvement and substantial resources will be reserved for implementation. 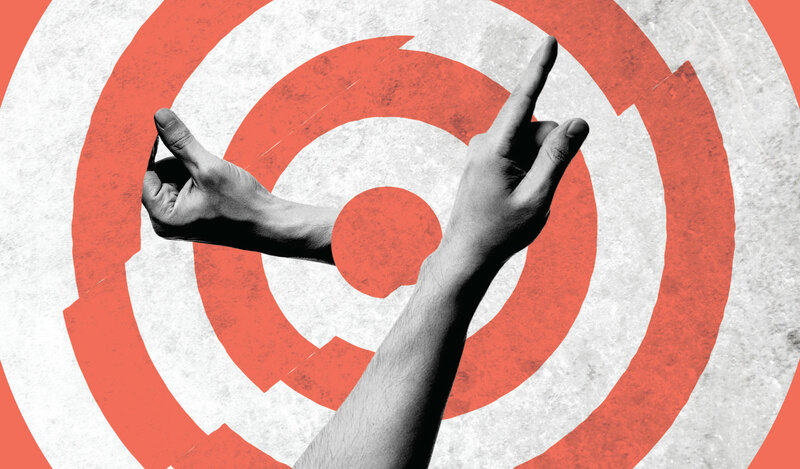 This recurring, thoughtful effort typically leads companies to consider their corporate strategies and strategic roadmaps, which are among their most prized assets. However, even after making such significant investments of time and energy, many companies lack the ability to determine whether they are making the most of their project choices. In addition, leadership teams often dive into the execution of their newly minted plans without establishing the capability of gauging the health of their portfolio over time. Despite these common inabilities to estimate the potential value of strategic plans and monitor their executions, it is possible for you to actively maintain strategic portfolios as high-performing investments by implementing some of the following concepts. Before an organization can determine the health of a current set of projects from a traditional project management viewpoint—scope, schedule, budget—leaders must understand the original business case behind each effort. No matter the format or polish, knowing how funding was justified gives a leadership team context for decisions, such as which projects should receive more funding, and which should not. Too often, project leads are reluctant to share business cases. The reason, often, is because they either aren’t very thorough or the current “working justification” is outdated. In the second scenario, the exercise of updating the business case will likely be insightful. Don’t let this reluctance impede a portfolio review. Reassure team members that knowing the estimated benefit of each project and when it will be realized will help the company decide how much to spend chasing that benefit. In fact, such a review could signal the need for more attention and funding. When leaders set priorities for their limited time and treasure, this information is critical. Once solid business cases are in place, leaders can make reasonable assessments of each project’s “health.” While project managers report scope, schedule, and budget status every week, these metrics may be measured against baselines that have floated out of context if managers do not update the business case. Failing to maintain the link between baseline metrics and the business case risks additional flawed assessments. 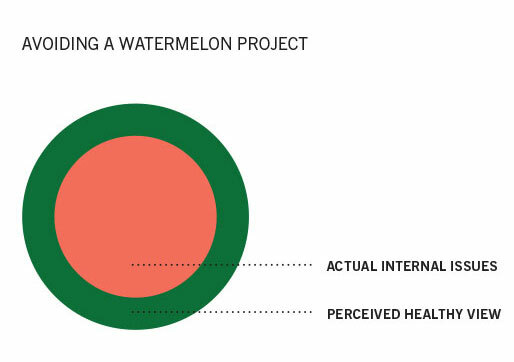 For example, a project can appear “green” from traditional project management measures, but in the context of the original justification for the project’s funding, it may be “red.” Some refer to these as “watermelon projects”: green on the outside, red on the inside. While projects commonly go through approval processes to ensure the investment is reasonable at the outset, the current portfolio and backlog of projects are often overlooked. Do a periodic review to ensure ideas that could generate results don’t “die on the vine” waiting for available resources or budget. One strategy for such analysis: Score each project based on expected results. It is easy to get carried away with this analysis, so keep it simple. A good rule of thumb is to make a scoring system only as precise as the decision it will support. For instance, when deciding whether to replace a project on a roadmap you will have to consider potentially more than 10 variables; this will be just one of them. After determining an easily measurable variable that closely aligns with your corporate strategy—top line revenue growth, for example—develop a simple scoring system. Simple units such as “$100,000s of incremental revenue” work well. In this case, $1 million in incremental revenue would be worth 10 points. 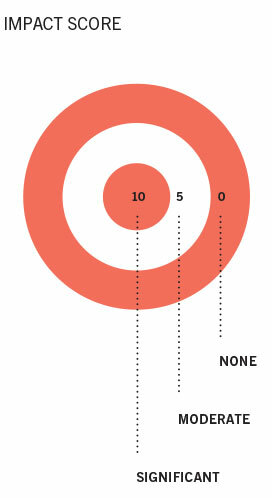 In this way, you can assign each project a score, then total the score of your current portfolio. This quantifies the value of the roadmap versus just the substitution of projects, which is helpful when considering strategic direction. It’s not an exact science, so don’t spend too much time trying to make it one. Each probable version of the corporate strategy could result in vastly different portfolios. Treat it as another health indicator in your company’s portfolio management tool belt. For many companies, resources are limited—particularly capable business leaders and technology teams. Understanding an organization’s supply of project leadership resources lets you assess whether delivery timing is realistic. Late delivery or low quality is nearly guaranteed if key resources are overloaded. Do your best to keep the list to a manageable few. Again, this is one of many ways to evaluate a portfolio’s chance of success, so aim for simplicity over complexity. You might decide that business sponsors and project managers are the first two resources on your list. The next step: Determine the number of people serving in each role at your organization—and the availability of each role (e.g., 40 hours per week). Then, determine how many hours a week each role should dedicate toward leading or contributing to each effort. With those assumptions, simple math can determine capacity for each role (i.e., supply). For instance, Widget Co. may have eight sales directors tasked with leading the implementation of the Widget Co. sales transformation projects. If the business lead role allocation assumption is 10 hours per week (two hours per workday) and the sales director role is assumed to have 10 hours available to lead projects, Widget Co. has the capacity to execute eight projects at once. You may find that specific groups can become “bottlenecks,” requiring an evaluation of creative resourcing options. When resources are unavailable, often it is better to delay a project rather than start one knowing progress will be slow or that indecision will increase the risk of wasted effort. Keep in mind that capacity analysis is designed to inform decisions around timing and approval of projects. Sometimes, internal resources ought to be reallocated. Or external, temporary resources must be sourced for high-priority projects with a critical element of timing to their implementation. While capacity analysis relies on several assumptions and resource data that needs to be maintained over time, it is often the most insightful way to identify opportunities to successfully execute a strategy. Understanding an organization’s supply of project leadership resources lets you assess whether delivery timing is realistic. Late delivery or low quality is nearly guaranteed if key resources are overloaded. A classic change management failure is to plan a perfectly implemented solution with users or stakeholders, either unaware of its benefits or unable to attain the benefits because they are not equipped to use the solution. This is important because poor stakeholder adoption can turn a great solution into a waste of money. The trouble is, we often don’t clearly define which stakeholders are important or estimate the effect a project will have on those stakeholders. Like capacity analysis, the concept is straightforward, but requires defining and maintaining a few simple variables. First, define which stakeholders are important to analyze. Be sure to include the internal and external stakeholders most critical to your business model; they are most likely to drive the intended benefits from each project’s business case. A set of internal stakeholders might be leadership associates (executives, directors, managers); external stakeholders could include suppliers, corporate account customers, e-commerce customers, and in-store customers. Once you’ve defined the stakeholders, develop a measurement of impact—an “impact score” scale (e.g., 0=no impact; 5=moderate impact; 10=significant impact). Think of “impact” as the amount of change a stakeholder group will have to adopt to achieve the intended benefits of the project as defined in the business case. For example, if the project is a full redesign of a retail store experience, the “in-store customer” stakeholder group should be assigned a high-impact score. With stakeholder impacts assessed, leaders have the tools to make remediation decisions such as adjusting project rollout timing or investing more in change management for specific timeframes or stakeholder groups at risk for low adoption. Together, these practices will help you continuously assess and optimize your strategic portfolio’s performance. This will involve difficult trade-offs, but the process will align leaders and strategic plans to reduce the risk of inefficient usage of precious resources. While the concepts are simple enough, it is important that companies invest the time and energy to incorporate these activities as they implement their strategies. Taking the time to invest in tools to monitor your company’s strategic portfolio will give your strategy the best chance of being realized.